I hope everyone has had a happy holiday season! If you're looking for some good books to enjoy for the New Year, here are a few I've enjoyed recently. Adult contemporary fiction. I have been studying Italian in my free time and so decided to try reading one of the most popular Italian writers of today: Elena Ferrante. There have been many articles about this author's mysterious anonymity. Her real identity is unknown except to her publisher because she wishes to have a normal life. I get that. Still, it only adds to the intrigue, as you can't help but wonder who writes these marvelous books. 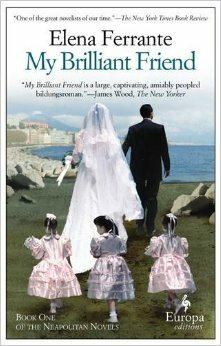 My Brilliant Friend is not the sort of book I would normally pick up as I prefer fantasy fiction. This is contemporary realistic fiction about two women who grow up together in the 1950s and 1960s in a poor neighborhood in Naples. The cast of characters is large, and for me, an American reader, I was missing some cultural context that made it a little bewildering at first. I read the book in English (because my Italian is not that good yet) and the style was both deeply intimate and jarringly matter-of-fact. The narrator Elena tells us everything about her upbringing in a neighborhood where harsh poverty is the norm and family violence is unremarkable, even, for instance, when a father sends a daughter flying out a second story window. Elena grows up side by side with her friend/foil/personal albatross Lila, who is naturally brilliant at everything and more beautiful than Elena, but who is held down by circumstances to work in her father's shoe store while Elena has a chance to escape her life through education. The book is a blow-by-blow confessional, following the two girls from their earliest memories through their early adulthood. The short chapters keep the pages turning, and by the end of the novel I found myself very involved in the lives of the characters. It is epic in the best sense of the word, and yet quiet and personal in its scope. At the end, there is a cliffhanger so brutal I immediately had to go and buy the next volume of this series. Wow, cliffhangers work! I should try them some time . . .
Middle grade fantasy. Micah Tuttle's grandfather has a secret. When he was a child, he visited a magical circus, the Circus Mirandus, which changed his life forever. There he met a magician who promised him a miracle -- a miracle that has yet to be collected. Ever since Micah's parents died, he has been raised by his grandfather Ephraim, and Micah lives for stories about the Circus Mirandus, even though his sour Aunt Gertrudis insists these stories are dangerous nonsense. Now Ephraim is dying, and he calls in his magical favor from The Man Who Bends Light. Soon Micah and his friend Jenny are plunged into a world where parrots deliver messages, elephants solve calculus problems, magic is real and illusion is more powerful than reality. 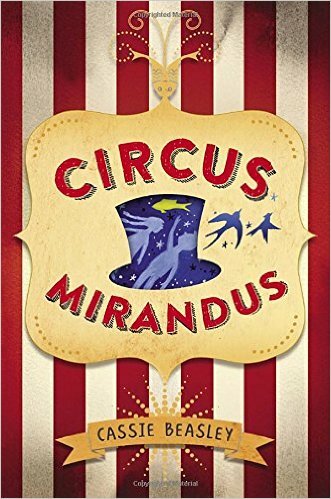 Circus Mirandus is a fabulous read for elementary-aged kids who like fantasy. It is full of fresh wonders, gentle humor and sympathetic characters. Like Hogwarts of Harry Potter, the Circus Mirandus is a place you will immediately want to explore and possibly take up residence in -- a fabulous creation with surprises in every tent. I finished the book in two nights, and was excited that the author seemed to leave things open for a sequel. If so, I have my ticket ready for a second trip! YA sci-fi adventure. 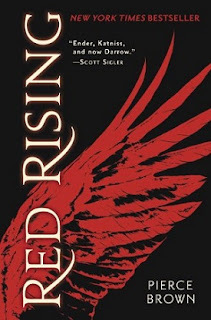 (Minor spoilers follow) Red Rising introduces us to Darrow, a sixteen-year-old miner who toils deep in the mines of Mars a few hundred years in the future. In Darrow's world, humanity has spread across the solar system, and has been organized into a strict caste system of colors, with Gold at the top and Red at the bottom. Darrow is a Red, but he is making the most of his hard life in the mines. He is good at his work. He has a beautiful wife Eo (they get married young and die young down in the mines) and though the Reds live in abject poverty, they are a proud tough clan. They appreciate songs and drink and family. They also hold on to the idea that they are sacrificing for the good of humanity at large. They have been told that they are pioneers on Mars, making the planet habitable through their hard lives mining helium-3, and some day the surface of the planet will be able to support life thanks to their efforts. Some day, the other colors will join them on Mars. And yet Red Rising is more than the sum of its parts. Pierce Brown manages to craft all these elements into something new, something believable and exciting. I couldn't help getting swept away in Darrow's story as we follow him from the lowly life of a miner to the very heights of Olympus (literally), wondering along the way if his secret identity will be discovered, or if he will 'go Gold' and forget his rebel benefactors and his mission. The book is satisfying in itself, but it leaves a lot of tantalizing questions for the second volume, which I have already started reading. If you like YA adventures, like the ones mentioned above, this is definitely a book you should check out!